The first thing you’ll want to do is grab the rasbian image from raspberrypi.org. You’ll want the wheezy raw image. “bs” is the block size – apparently you can increase this to 4 and it will take less time. Note that for the target, “sdb” is used as opposed to sdb1 or sdb2. This is is because we want to overwrite the existing partitions. 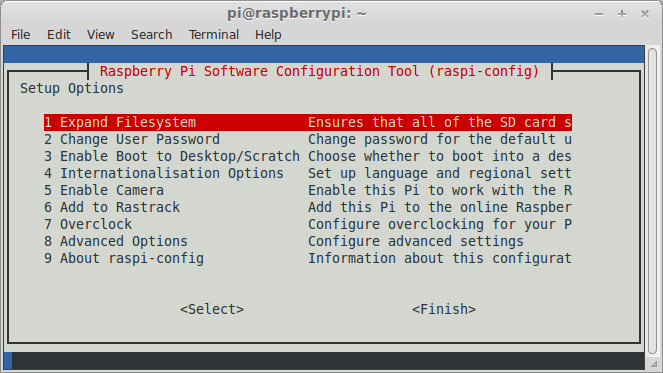 You are now ready to fire up the Pi; connect it to your router and with the SD card in turn it on. You can then log into your router to find out its ip. This scans the ip range specified and prints the host’s ip for which port 22 open. This has changed since last time I saw it. The only thing I really wanted to change (this time round) was to expand the filesystem. 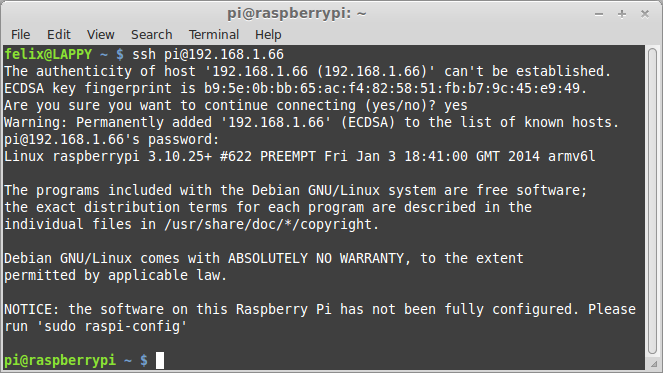 You should now be able to vnc to your pi (after installing a vnc viewer on your client).